Finally, tomato season is upon us! 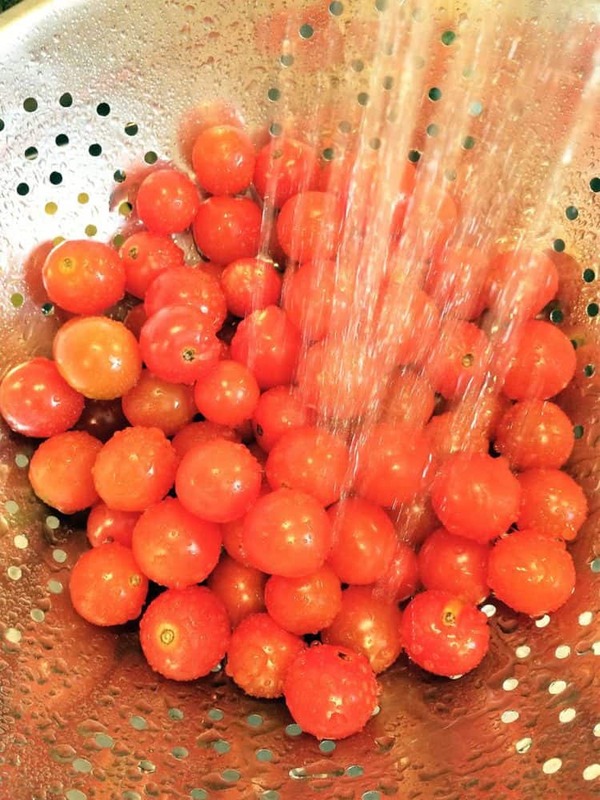 Is there anything better than summer tomatoes, especially picked from your own garden? I wait all year long to make this dish. 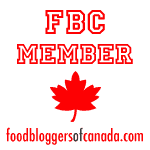 There’s nothing worse than those tasteless, white fleshed tomatoes we have to endure during the winter. Honestly, I’d rather not buy any at all. But that’s ok, it makes summer tomatoes worth waiting for. 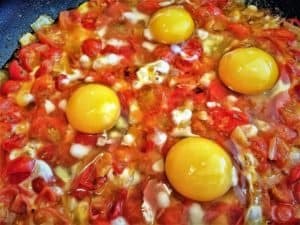 Each year, when my first batch of tomatoes ripen I immediately make this dish, which is basically fried tomatoes with eggs. My mother did most of the cooking while I was growing up but when I think of this dish I picture my father preparing it on a summer weekend morning. That amazing smell of the tomatoes frying with hot peppers just brings me back. We always use my mother’s green chili peppers which she preserves in oil each summer. My father’s cooking would always include several hot peppers. The hotter the better! My son has now developed quite a taste for them and I sadly think of how much they would have enjoyed eating their huge bowls of pasta topped with hot peppers together. Another one of my father’s breakfast creations that I recall were his eggs with sliced fried hot dogs. Yes, that’s right, hot dogs! He would slice them into thin rounds and sauté them until crisp, with some hot peppers of course, and serve them alongside eggs cooked sunny side up. It’s definitely not a breakfast you should have every day but don’t knock it until you’ve tried it. Which reminds me, I still haven’t made this for my kids. And so I named this dish after my father. Although I call it the “breakfast special”, I must admit, we rarely make it for breakfast but most often have it for lunch, or even for dinner. I would recommend it for breakfast if you’ll be spending the day engaged in intense physical labor, but how many of us do that? 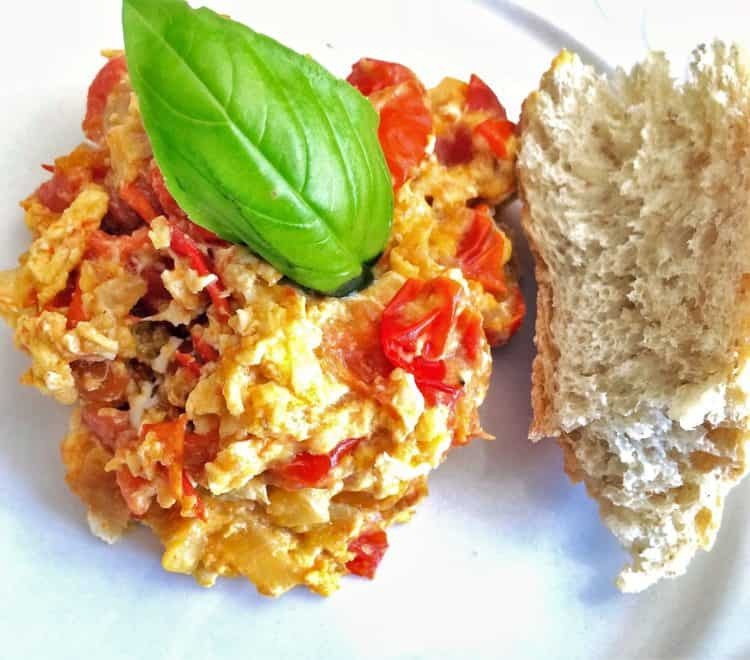 I’ve seen similar variations of this recipe whereby the eggs are nestled in the tomatoes and cooked without scrambling them. Although that may make a prettier presentation, I am partial to my family’s traditional version. Which was probably for the best because as a child I refused to eat egg whites. Maybe that’s why my parents started scrambling the eggs? When I got back from my holiday last week I obviously didn’t have much in the fridge but a few eggs and luckily I had frozen some of my mother’s homemade bread. 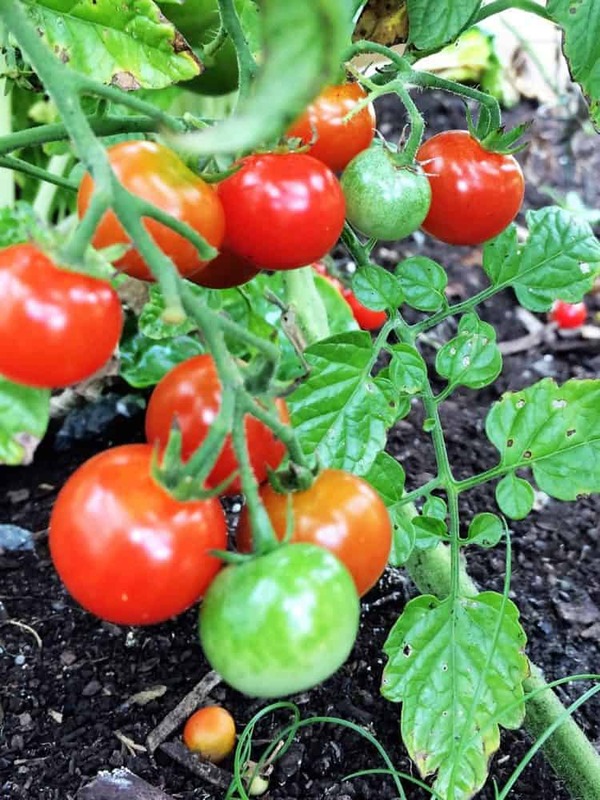 As luck would have it, my overgrown jungle of a garden was full of cherry tomatoes. We were all set for a fantastic lunch! A few days later when I found more ripe tomatoes, I prepared it once again. “Again? !” asked my children. Of course, I have to take advantage as summer is the only time I can prepare Nonno’s breakfast special! This dish brings back fond memories of my father making breakfast for us on weekends. This dish was especially made during summer months when we had access to fresh garden tomatoes. A favorite any time of day! In a large skillet, heat the olive oil over medium heat. Add the onions and cook for a few minutes. 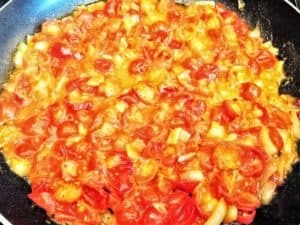 Add the halved cherry tomatoes and peppers (if using) and cook for about 10 minutes, stirring occasionally. Add salt and pepper, to taste. Press the backs of the tomatoes with a wooden spoon to release their juices. 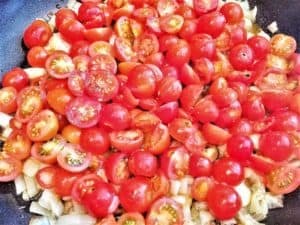 The tomato mixture should be slightly thickened and the tomatoes will retain their shape, as shown below. Crack each egg onto the tomato mixture and stir until the eggs are cooked. Serve immediately with bread.